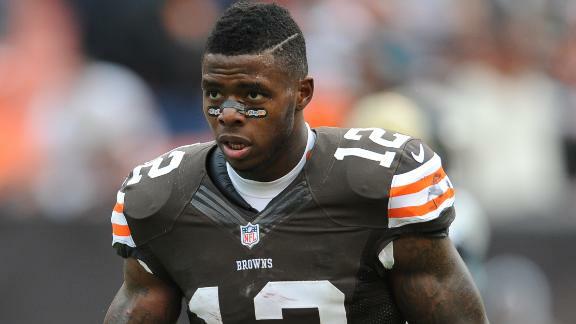 *The legal team for Cleveland Browns wide receiver Josh Gordon plan to use the second-hand smoke defense during a hearing Friday over disputed results of a recent drug test, reports ESPN.com. Gordon is appealing the NFL’s imposition of a yearlong suspension for a positive test for marijuana. His legal team plans to point out inconsistencies between his two test samples that could be due to second-hand smoke, sources say. The team will argue that the positive tests are so marginal that they show uncertainty as to whether the test results were truly positive, and even if so, were the result of exposure to second-hand smoke, according to sources familiar with the case. Gordon’s “A” sample tested at 16 nanograms per milliliter, a bare one nanogram per milliliter above the 15-nanogram-per-milliliter threshold, while Gordon’s “B” sample — which should theoretically be consistent with the “A” sample, as it comes from the exact same specimen — tested at 13.63 ng/ml, lower than the threshold. With both samples coming from the same specimen test, the results should be consistent. Gordon’s attorneys do not believe their client should be suspended for a year for differing disputed test results, especially when only one was barely higher than the threshold, sources said. Gordon’s arrest in early July in North Carolina was a DWI charge, which is unrelated to the proceedings surrounding his positive marijuana test. It cannot and will not be factored into any discipline that is doled out to Gordon over this violation. Gordon is facing the indefinite one-year ban for violating the league’s substance-abuse policy for at least the third time. If he loses, he’ll have to wait a year to apply for reinstatement. Last season, Gordon was suspended two games and docked four game checks for testing positive for what he said was codeine in his prescribed cough medicine.